Here's a nice cross section of slo-mo sounds , are they house, disco or hip hop ? Who cares .. I was listening to this excellent sub 105 BPM mix from Resident Advisor today, in my iTunes I have a whole library reading like a Who's Who of international DJ talent. Every week RA send me something noteworthy, be it Bill Brewster, Bookashade, Danny Howells or in this case Greg Wilson, I am pleasantly surprised by the weekly delivery of a classy podcast. In case you missed it first time around I have decided to upload and repost for your pleasure. Enjoy the slo mo gems opening with Soulwax mix of You Can't Always Get what you want and covering some seriously cool material, tracklist includes Are 'friends' electric - Groove Armada (Greg's edit), Nice and Easy with it's searing disco strings, Timmy Thomas' Why Can't we live together sounds so at home in Greg's selection and there's many more downtempo treats on this 80 minute showcase. I don't know a great deal on this one, other than a release of Greg Wilson – Credit to the Edit Vol.2 is imminent on Tirk, with a tour to support the occasion. It's been 5 years since the now classic Vol.1 was released so it's been a long and highly anticipated follow up. I for one can't wait to get my mitts on a copy. Watch this space. I've been a fan of Rocky & Diesel since way back when. I first caught them at Shave yer tongue many moons ago at Simpsons in the hell hole they call Bracknell. Heres a link to their new Release Now I'm on it/Fear One which see's a return to the Club sound I feel is absent from the Studio Album releases that have been more vocal, with mainstream appeal. These new tracks are dancefloor weapons. 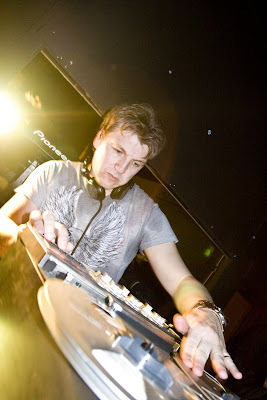 There's also an Xpress 2 DJ set from Feb 2009 on the same page so help yourselves. I'm glad to say I have Rcky and Diesel playing with me on May22nd at Funky Buddha, Brighton. Ali Go Bang! Will also be in the house, and we've asked Rocky and Diesel to go retro for some of their 3 hour set, so some classic acid and disco should feature too! !